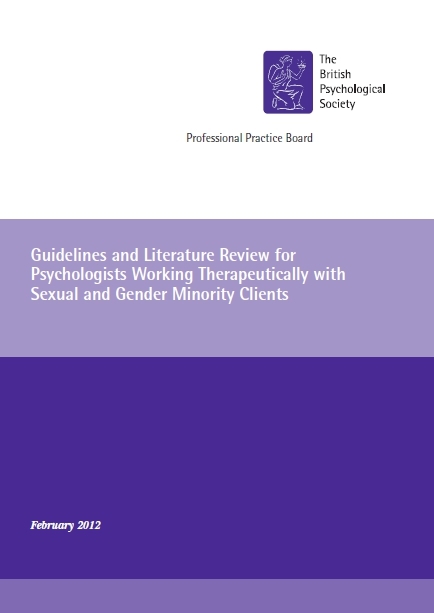 The British Psychological Society have just published guidelines for psychologists working with sexual and gender minority clients (also of relevance to therapists, counsellors and other practitioners). The guidelines are freely downloadable and available to all. “Bisexuality can often be completely overlooked as a potential sexual identity because Western culture is still prone to see gender and sexuality as ‘dichotomous’ (you are either a man or a woman, you are either attracted to a man or a woman, see also section on gender minorities below) (Barker, 2007).Therefore, many people feel pushed towards a gay/lesbian or straight identity rather than feeling that bisexuality is a legitimate sexual identity in itself.